Our Winter Season CSA consists of Certified Organic root vegetables and hearty winter greens. We make four deliveries, approximately every month from December through March. 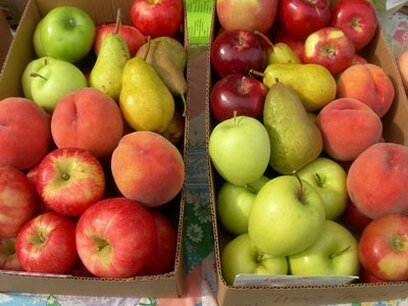 We also offer add-on Non-Organic Apple and Cider shares from Briermere Farm. Tuesday or Thursday pick-up depending on location. **Please note that we supplement our own produce with produce from other local Certified Organic family farmers to provide more variety during the winter months. Hollis Hills, Douglaston/APEC, Flushing, Hunters Point, Sunnyside, Jackson Heights/Farmspot, Forest Hills Church, Forest Hills Jewish Center & Dutch Kills. Please contact your core group at these locations for an application form & more information.